Good advice for anyone in business these days, especially when it comes to your advertising and marketing strategies. But over the last 10+ years, when it comes to online advertising, people have more and more placed “all their eggs in one basket” and that basket is the biggest . . . Google. Websites are optimized to Google standards. Paid search many times only includes Google AdWords. Banner ads, remarketing, blogs and the rest are also done using Google Tools to Google specifications. Google is the dominant force in the world of digital marketing and should not be ignored, BUT . . . they are not the only game in town. Depending on the source, Google controls as little as 65% and as much at 85% of the marketplace. Those are big numbers anyway you look at it. There is an option that should be included in every marketing strategy – the Bing|Yahoo! Network. In the world of search, including organic and paid, they command as much as 35% of the marketplace in the United States. Outside of the US, that number does shift HIGHER depending on the country. – Google usually outperforms Bing|Yahoo on quantity of impressions, clicks and conversions. – Bing|Yahoo usually outperforms Google on quality of impressions, clicks and conversions – Click Thru Rates are higher, Conversion rates are higher, and Cost per Conversion is generally lower. – They both allow you to do remarketing, an essential strategy for any digital marketer. – They both allow you to geo-target your campaigns. It is a new year and time to evaluate your digital marketing strategies. 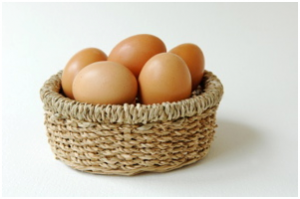 Does that strategy allow for growth by increasing the number of baskets into which you are placing your eggs? Filed under: Analytics, PPC, SEO.